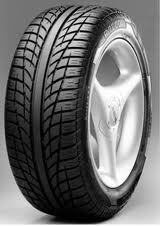 Designed with large long distanced North American highways in mind the P7000 is great long distance and travelling tyre. The tyre has been manufactured and designed utilising the years in the motor industry to ensure that the innovative tread design provides the maximum grip without taking away from the thrill of driving. This ultra high perfomance tyre has the durable silica compound lending itself to be a perfect tyre to use throughout the seasons, without a loss of traction in the winter colder months.